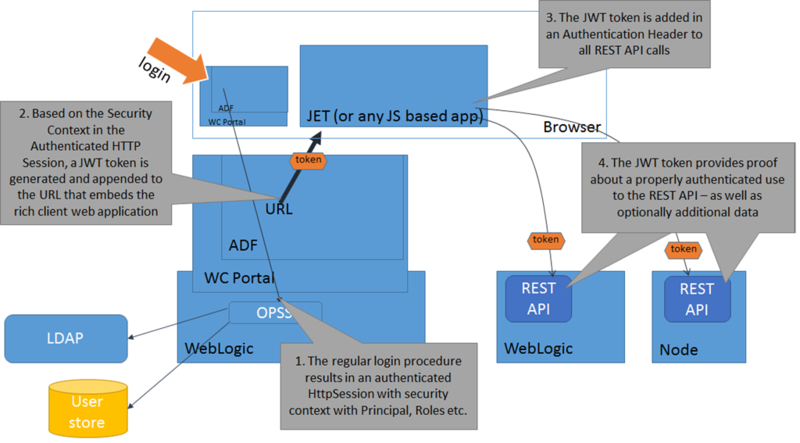 This article describes how the authenticated HTTP Session context in ADF – where we have the security context with authenticated principal with subjects and roles – can be leveraged to generate a secure token that can be passed to the embedded client web application and subsequently used by that application to make calls to REST APIs that can verify through that token that an authenticated user is making the call. The REST API can also extract relevant information from the token – such as the user’s identity, permissions or entitlements and custom attributes. The token could also be used by the REST API to retrieve additional information about the user and his or her session context. 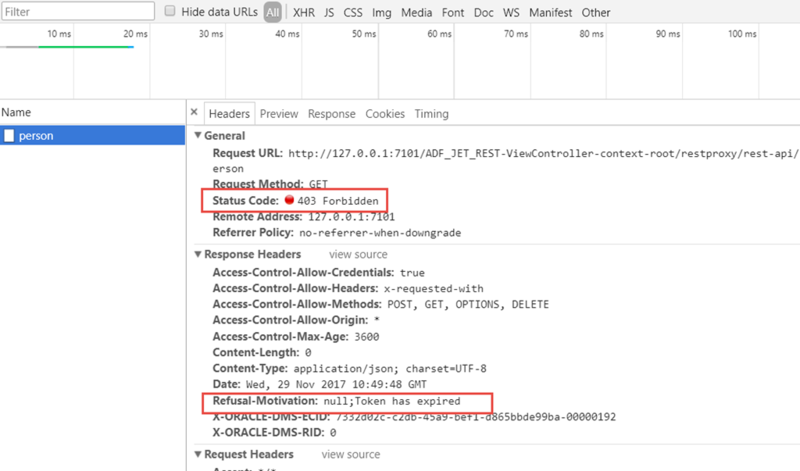 Note: if calls are made to REST APIs that are deployed as part of the enterprise application (same EAR file) that contains the ADF or WebCenter Portal application, then the session cookie mechanism ensures that the REST API handles the request in the same [authenticated] session context. In that case, there is no need for a token exchange. As a starting point, we will assume an ADF application for which security has been configured, forcing users accessing the application to login by providing user credentials. The complete application in a working – though somewhat crude – form with code that absolutely not standards compliant nor production ready can be found on GitHub: https://github.com/lucasjellema/adf-embedded-js-client-token-rest. I will use a managed bean to generate the JWT Token, either in session scope (to reuse the token) or in request scope (to generate fresh tokens on demand) . 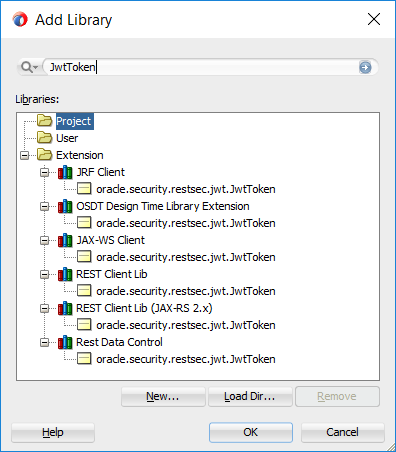 The ADF Application consists of main page – index.jsf – that contains a region binding a taskflow that in turn contains a page fragment (client-app.jsff) that consists of a panelStretchLayout that contains an inline frame (rendered as an IFrame) that loads the web client application. Depending on how the REST API is implemented – for example Java with JAX-RS, Node with Express, Python, PHP, C# – the inspection of the token will take a place in a slightly different way. 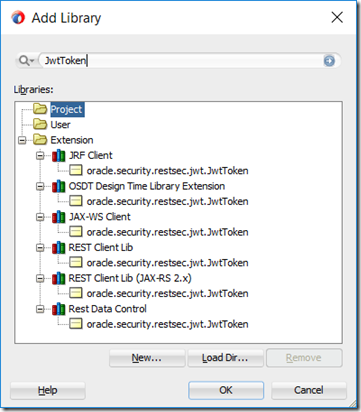 With JAX-RS based REST APIs running on a Java EE Web Server, one possible approach to inspection of the token is using a ServletFilter. This filter can front the JAX-RS service and stay completely independent of it. By mapping the Servlet Filter to all URL paths on which REST APIs can be accessed, we ensure that these REST APIs can only be accessed by requests that contain valid tokens. After successful authentication, the ADF Web Application renders its first page. 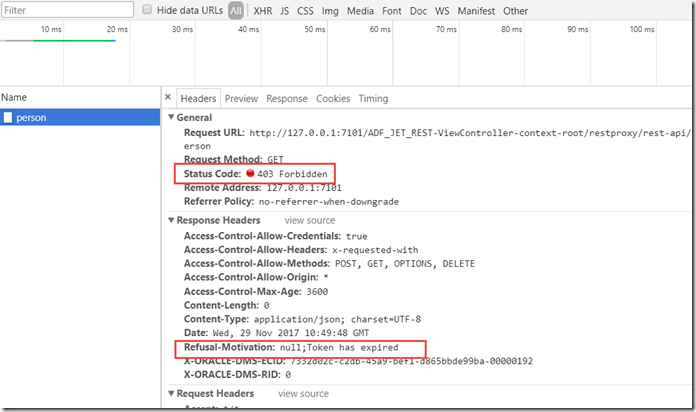 This includes the Taskflow that contains the Inline Frame that loads the client web application using a URL that contains the token. The token based authentication has done a good job. Thanks for this article..I could able to implement the JWT with this approach..How do we propagate the authenticated username to the ADF Business Component layer after the JWT verification is completed?